Japanese and American culture into one delicacy. 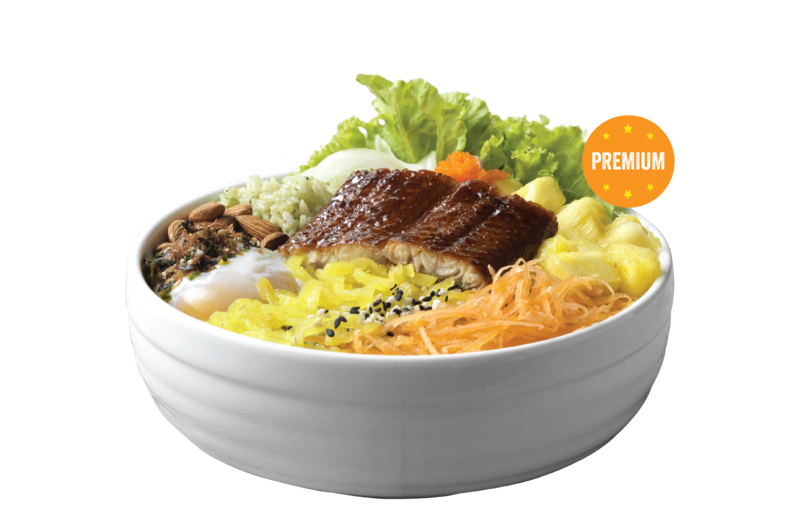 Hereby, we present you the one and only — Unagi Bowl. More than just its distinctive flavour and tender texture, freshwater eel contains an abundance of unsaturated fatty acids, potassium phosphorus, vitamins and 18 amino acids. To top it all off, the impeccable combination of Asian-inspired garnishes such as onsen egg, pickled radish, furikake, carrots and fish roe featured by Western-influenced ingredients such as pineapple, walnuts and pesto rice is, no doubt, the crowd’s favourite.